Technical Tip: Check heatsink type when ordering. A06B-6078-H211 Fanuc Spindle Amplifier IN STOCK we can offer NEW and Same day standard exchange (terms apply), 24 Hour Repair service also testing on this A06B-6078-H211#H500 & A06B-6078-H211##H501 Fanuc SPM-11 Type one spindle. specification is Input 283-325v - 13.2 Kw, Output 230v - 48 Amp. 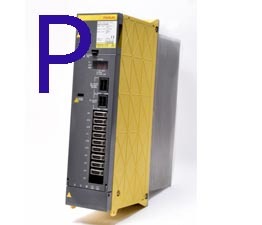 Is fitted with series Fanuc CNC Controls such as FS18IA & FSOD. Internal boards are A16B-2203-0501 and A20B-2202-0682. Note when ordering please check what heatsink type you have there are two types fitted at the bottom of this unit and you need to order right one or it will not mechanically fit in the electrical panel. We have a growing inventory of over 35,000 FANUC parts in UK stock ready for immediate worldwide delivery. By utilizing our services, you can save up to 60% off OEM prices. Request a quote today and one of our FANUC UK customer service team will assist you. ©2018. We are not Affiliated with any FANUC CNC or FANUC Europe or Fanuc CNC UK Ltd Companies.